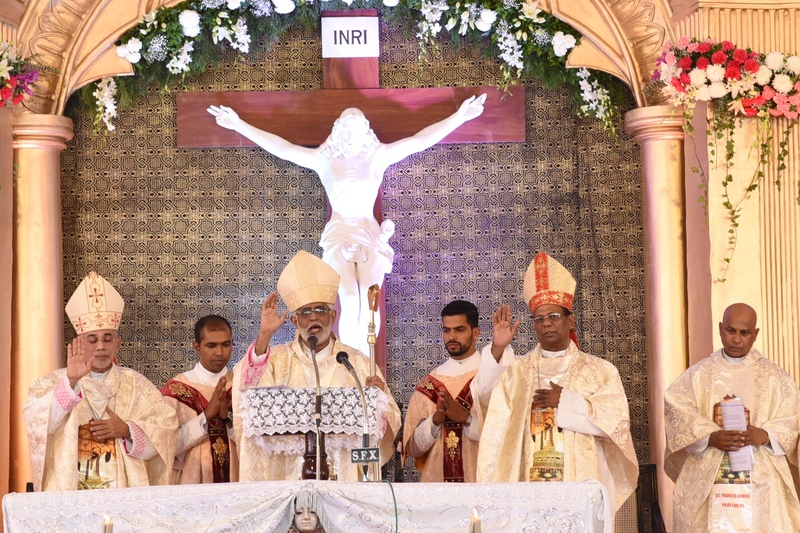 Panaji : 3rd December 2018 ::: Auxiliary Bishop of Bombay, Rev. Fr. Barthol Barretto along with Archbishop of Goa & Daman, Rev. Fr. Filipe Neri Ferrao, Bishop of Sindhudurg, Rev. Fr. Allwyn Barreto and Secretary to the Nuncio & Councilor at Vatican Embassy- (New Delhi), Rev. Fr. Javier Fernandez celebrated the Annual Feast Mass of St. Francis Xavier at Old Goa .